One motif I seem to come back to time and again is the fern. It brings back memories of walking in woods when I was young, and the smells of the damp English countryside in the colder months. I love the places that my mind travels to when I’m drawing and painting them, and as you can see I very much enjoy using colour to give them a fresh contemporary feel. 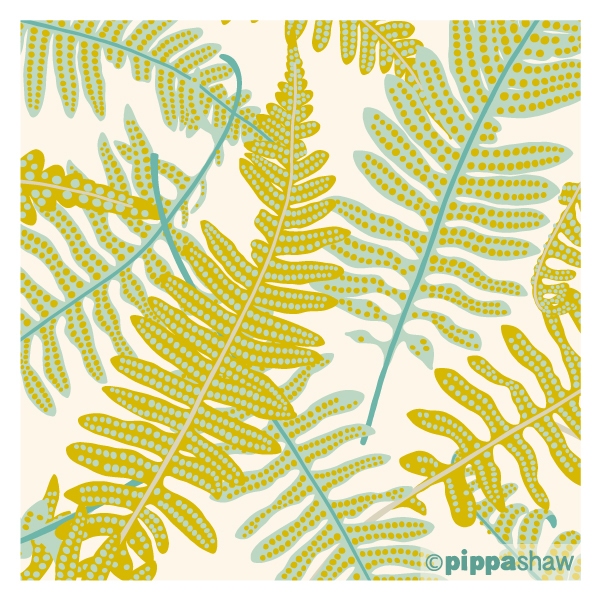 I’ve had a lot of enquiries about producing some giclée fine art prints of my designs, and I’m thinking that this single fern frond motif (below) would be a perfect contender! Those of you who have been following for a while will know that I do love a design that works well in multiple colour-ways, it makes my heart sing, but it’s always so hard to choose a favourite! 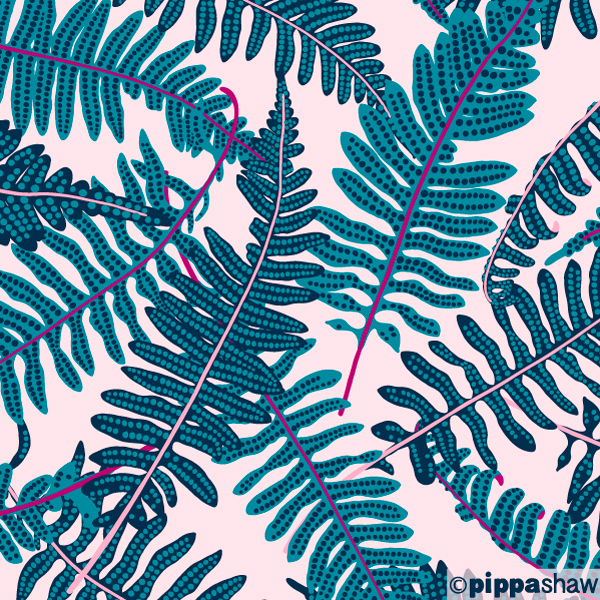 This year I’m planning on adding more botanical designs to my portfolio, and some more fern designs are near the top of my list.